Filming of the movie Free State of Jones is about to begin, and announcements regarding the cast are regularly appearing in movie trade papers. 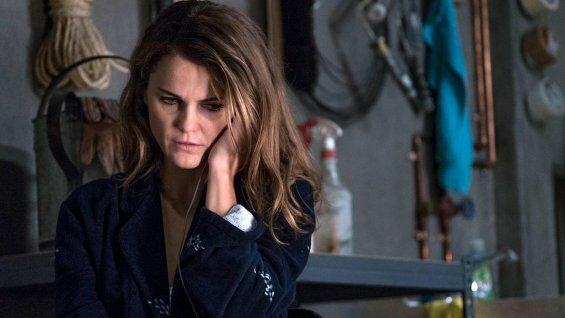 Renegade South learned less than a week ago that actor Keri Russell is set to play Serena Knight, the wife of Mississippi guerrilla band leader, Newt Knight. 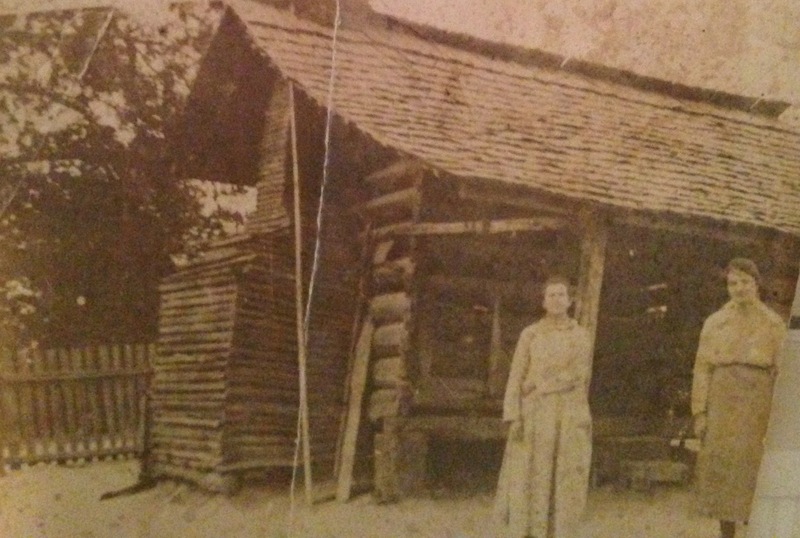 Because Serena Turner Knight was the wife of Newt Knight, she frequently appears in narratives about the uprising popularly known as the Free State of Jones. In terms of documented facts, however, few of those narratives tell us much about what Serena felt or thought during a life punctuated by a national civil war, a local uprising led by her own husband, and several interracial relationships that occurred within her own family during the early years of racial segregation in Mississippi. This despite her long life—Serena was about 85 when she died in 1923, having outlived Newt by one year. Keri Russell, scene from The Americans, with an expression that Serena might have worn more than once during her long and conflicted life. Questions about Serena usually begin with the obvious one of how she reacted to her husband’s wartime alliance and sexual relationship with the former slave, Rachel. Unlike many 19th century sexual liaisons between white men and women of color, Newt and Rachel’s relationship began during the Civil War and appears to have lasted until Rachel’s death in 1889. During those years, children were born to both Serena and Rachel. More broadly, I wish we knew more about Serena’s personal experience of the Civil War. But perhaps more than anything, I am interested in her own life within the mixed-race community that she, Newt, and Rachel, presided over. Serena is often a forgotten member of this community although she too was the biological grandmother of a generation of mixed-race children. You see, it wasn’t just Newt and Rachel who engaged in an interracial relationship, so also did two of Newt and Serena’s children, who married across the color line. There were others, as well. Which brings me to the question that I find most intriguing: how did Serena react to the interracial marriages that took place around 1880 between two of her and Newt’s children with two of Rachel’s mixed-race children (neither of them fathered by Newt)? By all appearances, she accepted those marriages, as did Newt and Rachel. 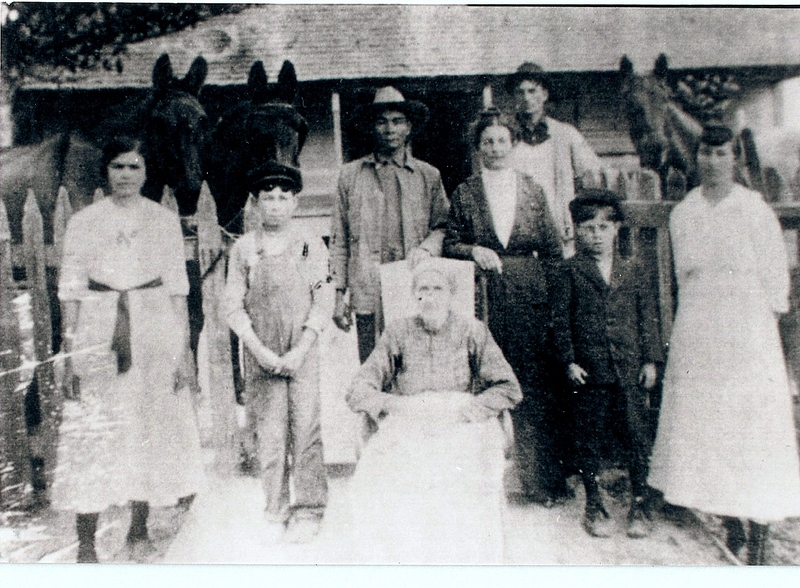 The photo below, in which an aged Serena is seated before the family of Jeffrey Knight, reveals her long presence in the mixed-race Knight community. Although her daughter Mollie had died a year or two earlier, Serena still lived in the household of her son-in-law, Jeffrey, son of Rachel Knight. Next to Jeffrey is his second wife, Sue Ella Smith, who was from the mixed-race Smith-Ainsworth family. Not only Newt, but also his white wife, Serena, broke the social rules of southern segregationist society. Although Serena left his household sometime between 1880 and 1900, she did not completely leave the racially mixed Knight community, even after several of her grown children married white partners and left. Rather, she lived with her daughter Mollie and son-in-law Jeffrey (Rachel’s son) until after her daughter’s death around 1917. Even after Mollie’s death, Serena remained close to Jeffrey and her grandchildren. They were, after all, a family–a multiracial one that Serena, as well as Newt, embraced. 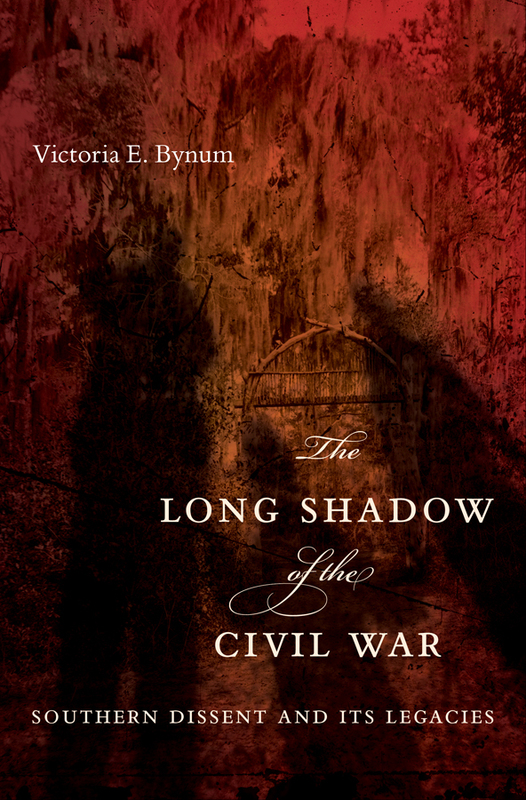 Life in Civil War Mississippi and the segregated society that followed was for more complex than many will ever know. The story of the Knight community provides a glimpse into only one example of that complexity. I will attempt to discuss what I envision to be the dynamics in the relationship of Serena Turner Knight, with her marriage in about 1859 to Newton Knight. I see this picture in my mind of Serena and Newton, stealing a kiss or two before their marriage. Probably dancing at someone’s homestead to fiddling and a harp. I can see the start of a wonderful, and romantic beginning between the two, because I promise you, even though it was 150 years ago, most young people “courted” much in the same way as we do today, with love and affection, however they were country folk in the Piney woods. As were most women of the south, she was dominated and controlled, and OWNED by her husband. The bible says, so, and like 150 years ago, we pretty are seeing the same thing happening now in this 21st century. Don’t you think? I really don’t think as her marriage aged, that it reflected a trusting and equal relationship. I don’t know if that existed within the counties, because men were expected to “jump the fence” so to speak. And women had to deal with it, I see Serena and Rachel having a common cause (with varying degrees) of sharing what was like slave labor. Both of them were all too busy being Mothers. That included work from sun up to sun down, cooking, quilting, sewing, washing, tending the garden, eggs, and animals (I’d think she was compared to oxen), and out plowing in the fields. Yet at the end of their day they had to wash their garments, under and outer garments for the next day. Not to mention, keeping the hearth going, fire wood, and fuel for indoor lights. For women of that era, cleanliness made you a genuine woman. And the power she had came from having children, that was another mark of being a woman, and there is where she developed her self respect. I think that is true of all women back then. Serena never learned to read and write. She knew the bible stories, and probably told them over and over, as was done to her. And the civil war brought everybody to brink of insanity. I am sensing a return of that era today. I look at the photo above, and know that she did indeed teach certain feminine aspects to her daughters, and granddaughters. I look at the nice white cotton dresses (cleanliness), the ribbon belt, the shoes, the see the boy in overalls, and see the other with nice jackets, and hats, and nice hair styles, and I look at Serena, she looks like a granny who has aged, who has done her job as best as a woman could. I think she had to face the horror of war, it stared her in the face, everywhere she looked in those piney woods, was fear. And I wonder if like other men, Newt became adventurous, and was sexually intrigued by Rachel. I don’t know if Rachel felt sexually coercion during the war, or that it turned into love affair. I don’t know how else to question his reason for allowing the relationship to continue, other than their love and affection. Did Serena ever accept his reason? I would think she likely accepted Rachel helping her husband, because she wanted him to safely come home to her. From 1880 till her death she says she was widowed. Most women of that era suffered from loneliness, and she was no different, but when the community shunned her, and I believe they did, she did what any mother would do, and accept her children, and grandchildren, rather than disown them. I don’t think she was misguided in doing so, in making a home with her family. Maybe I’m off course here. I’d like to hear other suggestions, or reflections on their lives, especially from women. Thank you, Frances, for such a thoughtful essay on the likely texture of Serena’s life. Nineteenth-century farm wives were indeed “beasts of burden” who worked from sunup to sundown. Most white women—and this included Serena—were NOT the “plantation mistresses” of Gone with the Wind fame, who were waited on and served by enslaved women. After the war, work likely became even harder in the Depression-ridden South for rural white and freed women such as Serena and Rachel. Your point that they were likely bonded by work and their children has been suggested by descendants, especially in the 1952 autobiography, Mississippi Girl, written by Rachel’s daughter, Anna Knight. Your point that the entire family was shunned during these years by many of their neighbors and relatives is also verified by family memories. Many Knight descendants have told me that their elder ancestors assured them they were NOT related to Newt Knight, if they mentioned him at all. And yet, there were also those who never turned their backs on the man who had led the Knight Company during the Civil War, or on his mixed-race family. The transcript of the 1948 Davis Knight miscegenation trial reveals the deep bonds that survived into the 20th century between several families that joined Newt Knight in opposing the Confederacy. Hello Vikki; When I grew up in Soso, separation between the races was obvious, however, in that little stretch of Jones, Covington and Jasper Counties, I don’t remember any major confrontations between the two. In other parts of Jones County, the Klan used those areas as launching pads for, what turned out to be, atrocious actions against people of color throughout other parts of Mississippi. Not so much where Newt and his followers lived; During court ordered integration, in the late 60s and early 70s, there were both black and white students who were more than curious about each other. Because were were old enough to put two and two together, it dawned on a lot of us that there were things unique to our little neck of the woods. As long as black people “stayed in their place,” there seemed to be something protecting them. God certainly works in “mysterious ways” to bring people together. This history is so complex, yet dynamic. Thank you for your interesting observations about racial tensions in this region during the time you were growing up in Soso. 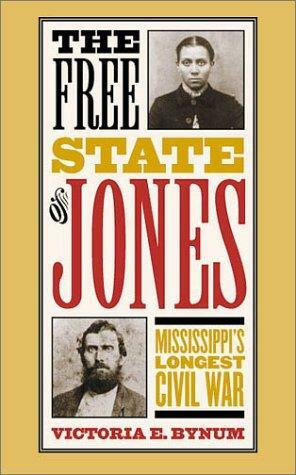 How I wish I’d been able to interview you during the time I was researching the Free State of Jones. Unfortunately, one always meets important people AFTER one’s book comes out. But that’s what makes this blog so useful—we are able to constantly update and reflect on our knowledge about this, yes, “complex yet dynamic” history. Hello Vikki, I am writing because my grandfather used to own most part of SOSO. The Knight family are relatives of ours and we know the whole history…feel free to reach out if you would like to know more. Thank you, Wendy! In the meantime, if there are any insights you’d care to share here on Renegade South, please do! Please share….I am directly descended from Ruben Knight, Newt’s brother…Ruben is my great, great grandfather…..so Newt would be my great, great Uncle……I have some info on Newt and Rachel, and their kids……not enough for that matter….I have mapped back to Miles Jessie Knight (1750-1783)who fought in the Revolutionary War, and this would be my 5 greats grandfather…….any info, true stories, photos I can save….I would greatly appreciate this very much……and I have your book…..AWESOME!!!! Gave me a lot of history I didn’t know!!!!!! Hi Wendy. My mother was from MS, her father was Steven Knight. I wonder if we’re related? I started researching my family history when i was 18. My great grandfather was almost 100 and i wanted to know about my family. He never told me we were related to Newt Knight. I found that out years after my great grandfathers death. He was married to Serena’s niece. Im also related to Ethel Knight on her mothers side. She is my great grandfathers niece. It was really strange to know my great grandfather never told anyone he was related to newt through marriage. It is so good to hear from you! I enjoyed helping you find that information on your family name when you were my student; those sorts of family mysteries are what keep me fascinated by stories such as the Free State of Jones. Thank you for your congrats on the movie. I’ve just left three days of visiting the movie set in Covington, Louisiana, and watched Matt McConaughey perform some very intense scenes—he’s doing wonderful work! I hope you’re doing well, and please stay in touch! Congrats on this chance to make millions of Americans aware of this fascinating aspect of our history brought to light through your scholarship. Thank you so much, Pat Young! Pretty exciting to realize that Newt Knight—and by extension, Southern Unionists—is about to become very well known. I also have a relationship in my family from right after the civil war in Jones County, Mississippi that is a mystery. Lydia “Agnes” Redmon McBride (some think she was an Indian) was married to David McBride, who died at the end of the war in 1864. However, she had my grandmother, Emma, in 1867 and another child, Monroe in 1870. All ancestry information says they are the children of Obediah Lynes. In the 1870 census, Agnes is three pages down from Obediah. Here is what is interesting, though. Agnes was 10 years older than Obediah. Obediah was married to Sarah and some of her children were born around the same time. Obediah was in the Civil War (Confederate side) the whole time, and was even a prisoner of war. He was a doctor and a preacher. It’s so hard to connect these two. As I was investigating, I read your blog and it got me interested in this couple above. Oh, how I wish I knew the story. Very interesting story, Susan. Here’s the link to an essay I wrote for Renegade South a few years ago that includes Obediah Lynes (referred to as “Obe Lyons” in the records I found)—another very colorful story to go with yours! Wow, that was interesting. I know his father killed his son-in-law. Obediah is very confusing. Started off so bad, but moved to Alabama and started a church with his wife. In fact, he was their first preacher. He was also a doctor and helped many people. Maybe he was a truly “born again.” I wish I knew the story between he and Agnes McBride. Can make up a lot in my head! Ha/ha. You are so wonderful to answer everyone who writes here. Another reason I found your blog is that Jacob Lofland, a young man in the new movie with Mathew, is from our little bitty community in Yell County, Arkansas. His mother was at church and was talking about how Jacob was in a movie called the Free State of Jones. (Sorry I hadn’t heard about it yet). I said, “Jones Mississippi?” She thought it was in Texas. I told my husband and he knew it was Jones County Mississippi because he had read your book. He is an avid Civil War buff. I guess I never told him I had family from Jones, Mississippi so he never mentioned it to me. Life is so funny. Thanks for listening!!! I know its been a couple of years so I’m not sure you will get this post but I think its worth noting. I found a copy of Agnes McBride’s Pension request form for David McBride after his death. Obediah, my great great great grandfather, signed as a witness to her mark on the official documents. He was there with her in 1865 when she did this. He was also married to my great great great grandmother at the time. I’m wondering if this scandal didn’t drive the Lynes family to Washington County, Alabama where they ended up settling. I’m not sure if that help or deepens the mystery of these two. Janet, I really hope you and I can meet someday too–we’ve been corresponding for so many years! Maybe when the movie comes out, they’ll have a premiere in Jones County and we can all congregate there. The picture of Newt’s home has the 2 women in it. The thin lady I’m not sure about, but the other looks like a Valentine. She has my Granny (Valentine) Knight’s same shape & body structure. Granny was the daughter of James Morgan Valentine & Mary Mason Knight-Valentine.she had 5 whole sisters. And 6 1/2 sisters, 4 1/2 brothers from his 1st marriage. Most of the 10 1/2 siblings & their mother moved to CO.
Do you know what year this picture was taken? Thanks for the identification, Kimberly! No, I don’t know the date this photo was taken; sure wish I did! Does anyone know if the Newt Knight home is still standing. I think it WS close to the Knight Cemetery between Soso and stringer. On a lighter note, I love how those three horses in back seem to be posing as if they’re just as much a part of the family as everyone else! Estuve leyendo todas las historias relacionadas a este evento. Gracias por escarbar y rescatar hechos tan significativos para la historia de los EE.UU. Abrazos. Today I just watched the movie on Netflix, what an amazing story and to find out it was based on a true story and to have all these descendants writing about their family connections on here, is awesome, I love history, am all the way in New Zealand, originally from England as a child. Thank you, Linda! Yes, the movie is wonderful for letting the world know about this anti-Confederate uprising and the incredible community that emerged from it and endures to this day.